The word “galette” sounds fancy, like something that will require new tools and test a baker’s skills to the max. But actually a galette reminds me of a person whose reputation is so impressive you’re scared to talk with them, but then once you meet them, you realize that they’re completely down-to-earth, fun and spontaneous. Not only that, they actually spend their time making you feel smart. That’s how galettes are. They sound fancier than a pie. After all, anything sounds elegant in French. Even dish soap sounds angelic: “liquid vaisselles”! But don’t be fooled. Galettes are actually a humble, rustic, free-form version of pie. 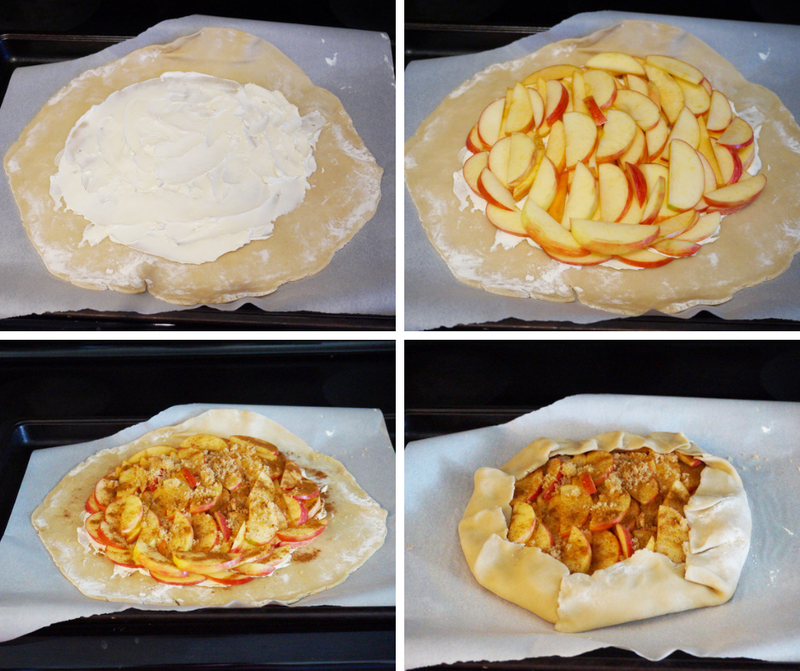 You can simply roll out pie dough, place it on a cookie sheet, fill the center with fruit, fold the edges over, and bake. And even though their elegant French name might sound intimidating, it fits. It means “pebble,” and conveys the idea of a weatherworn stone that’s perfect for skipping, according to the Oxford Companion to Food. I love that. The galette is an everyday, weatherworn tool for your bakery. You can use it for desserts or even savory pies, like this Winter Squash Tart. 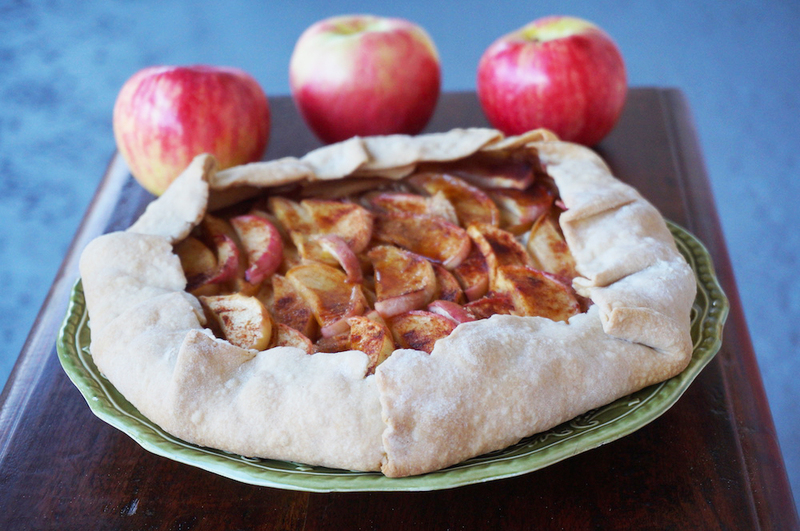 The simplicity of the galette is good news for apple season. 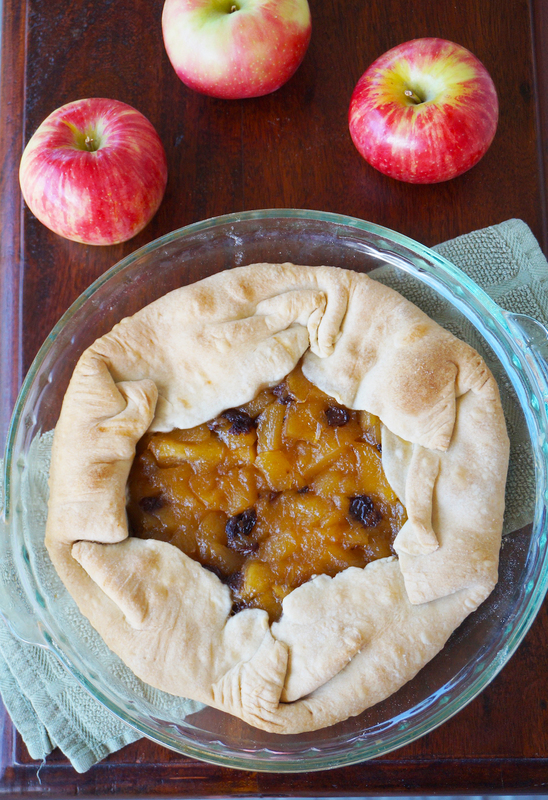 Here are two easy galettes you can make with fresh, local apples this fall. I made the dough and the compote ahead of time and was able to make both of the these very quickly one afternoon. Make your favorite easy-to-work with pie dough. I used this one. Then make the compote in this recipe. Place compote in the center of the pie dough in a circle, leaving 1-2 inches of pie dough at the edges. Fold edges of pie dough in toward the center, but not covering the compote all the way. Bake in a 375F oven for 40 minutes or until crust is golden. Cheesy galette with apples and cinnamon. Roll out the pie dough on a lightly floured surface, with a floured rolling pin. Transfer dough to a parchment-lined cookie sheet. Spread cream cheese in a circle in the center of pie dough, leaving about 1-2 inches of pie dough all around. Arrange apple slices in two layers. Fold edges of pie dough over top. Bake 30-40 minutes until golden brown.